NASA, which has tons of great educational resources, has a nice interactive reference guide to the ISS (International Space Station). 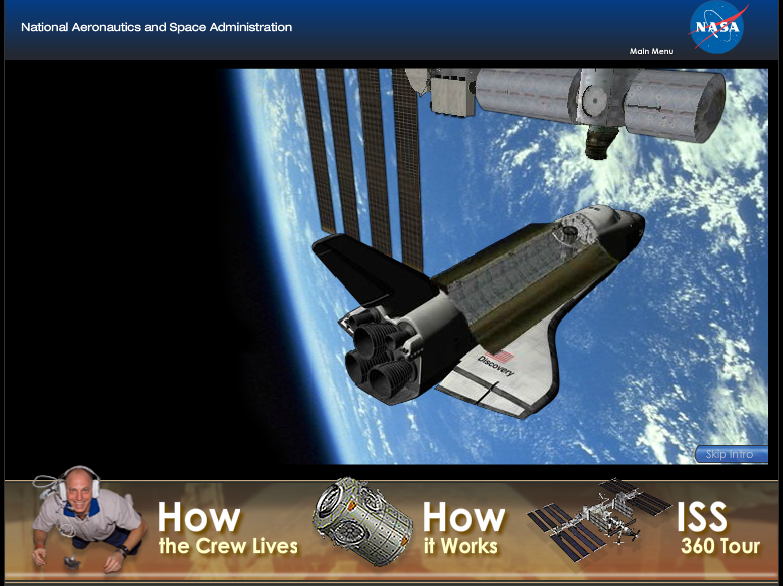 In it, students can explore the space station, life on board, and what happens on it. There is a scalable model that explains each part of the ISS, as well as a 360 degree tour of the station. This is a great way for students to explore the station, learn about it, and get engaged and interested in space travel and science.